Yogis in Dubai, mark your diaries! It’s that time of the month again when the moon shines bright like a diamond. Every full moon is an auspicious time to practice yoga, as it allows you to channel more energy and deepen your practice! Down to downward dog? Here are 5 full moon yoga classes in Dubai taking place this Saturday, March 31st 2018. Want to get up close and personal with the moon? This full moon yoga class takes place high up on the 54th floor of Sheraton Grand Hotel, by the rooftop pool. Yoga instructor Lara Bogdanovic will be leading the yoga class, followed by meditation right after. 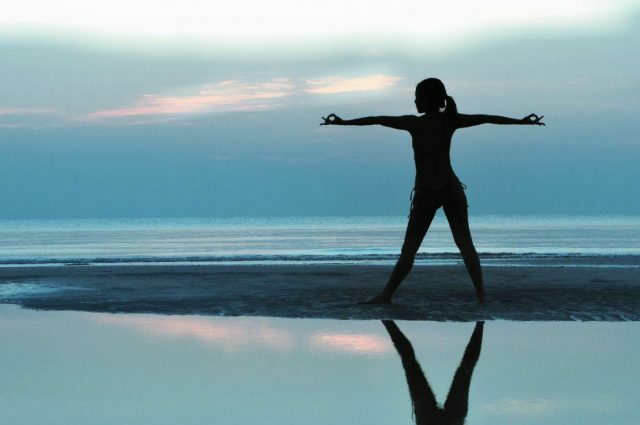 Talise Spa invites all of Dubai’s yogis to experience true inner peace this full moon. Sign up for this traditional full moon yoga class by the beach, as you unite your body, mind and spirit with an uplifting practice. Yogis of all levels, make your way to Al Furjan Club this weekend for an energizing full moon yoga class under the moonlight. The yoga class will take place by the pool, and there will be complimentary lemonade for all participants. 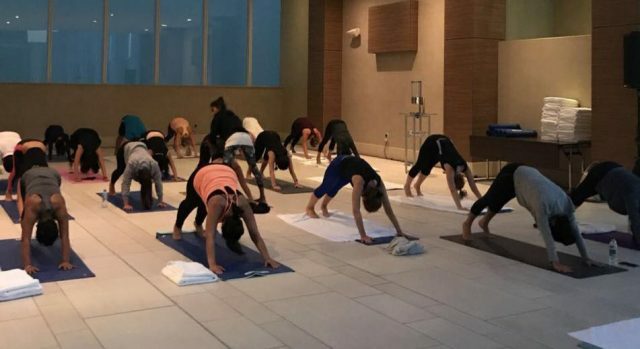 Led by resident yogi Melanie Swan, the full moon yoga class at Fairmont the Palm includes a one-hour invigorating yoga practice, 30 mins of meditation and healthy snacks and refreshments for everyone! Spaces are limited so d0n’t forget to book in advance! 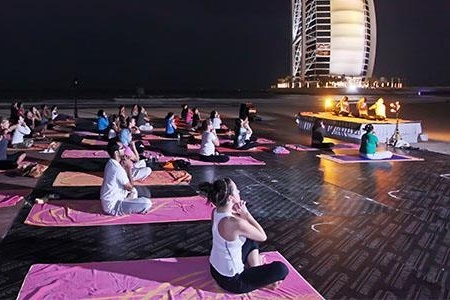 Round up your yoga buddies and head to Four Seasons Resort Dubai for a peaceful yoga class under the full moon.With the sound of traditional singing bowls, energy from the full moon and the stars shining bright above, this yoga class will help you embrace your inner power and calm your body, mind and soul.